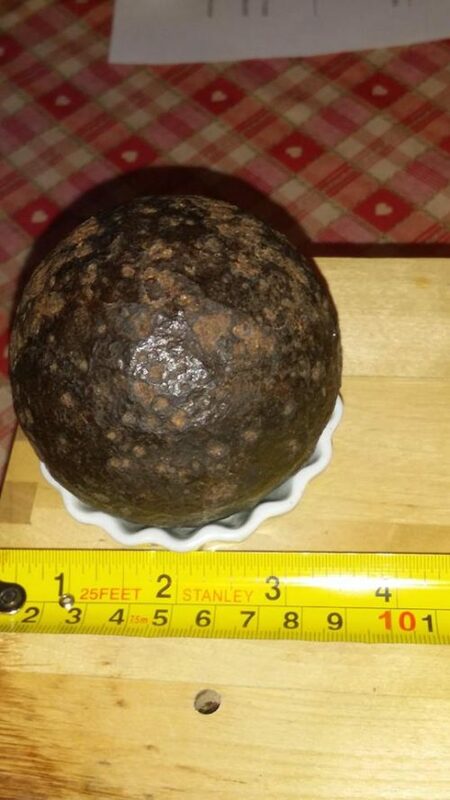 This is a four-pounder cannonball from the time of Elizabeth 1. It was found on the top of Cornamucklagh Hill overlooking Narrowwater around the year 2002 and we have a pretty good idea how it got there. 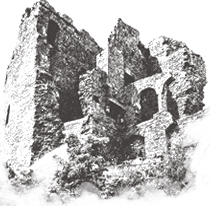 On 12th November 1600 an English army under Lord Mountjoy left Newry for Carlingford, but the scouts soon told them that Hugh O’Neill was moving an army across Fathom to attack them. So he took his main force – about 3300 men – down the other side to cross by pontoon at Narrowwater but a crack team of 300 or so, mainly cavalry, went down the Armagh side to secure the landing site. They camped at Cornamucklagh hill and the whole army got safely across and joined them there for the next day or so. At some point, probably on the 13th, the cannonball rolled off a munitions wagon. Meantime O’Neill had moved his forces through Lislea and Ballinteskin and was waiting for them near the Two Mile Water where he dug trenches. As usual, he fought them for a half day or so and then pulled out, with both sides claiming victory. No reliable report of casualties.